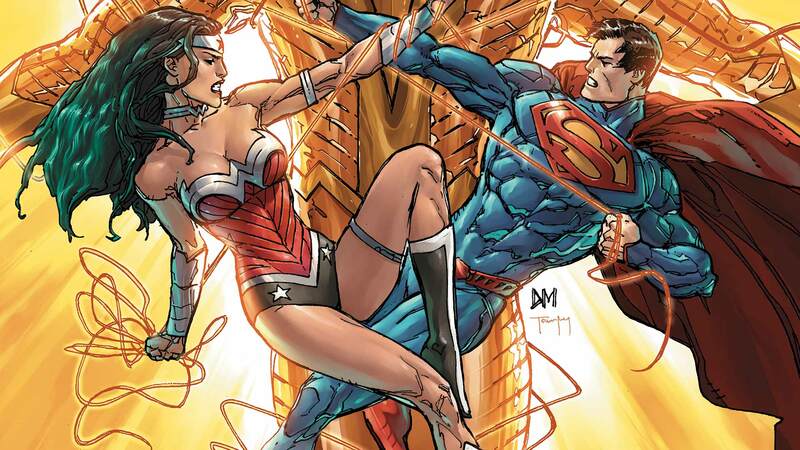 It’s no surprise that after recent events, Superman and Wonder Woman are cautious about the appearance of the new hero who calls himself Wonderstar. But this mysterious hero seems to be asking for nothing more than their guidance in dealing with his strange, erratic powers – and for their help in protecting his loved ones and his secret identity! The only problem is that his past is a blank slate. He doesn’t know who he is, where he comes from – or why is feels a strange connection to the Man of Steel and the Amazon Warrior!